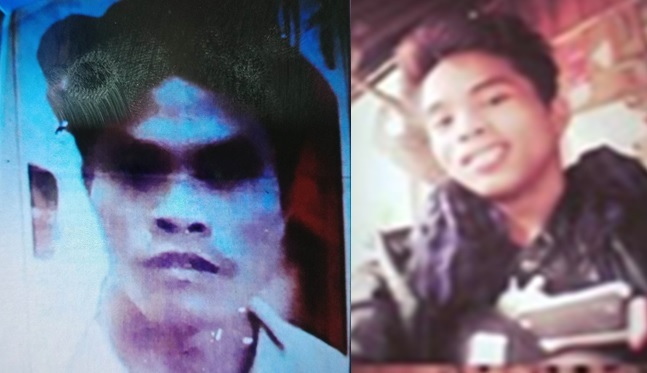 Suspects in the killing of Buenavista Mayor Roland “Sampol Tirol: Elmer Melencion and Emigdio Aparece, Jr., who was killed in a police operation in Danao on June 6, 2018. Buenavista Police Station commander Chief Insp. Rolly Lauron on Thursday expressed belief that there was a mastermind behind the killing of Mayor Ronald Tirol who made sure to keep the local chief executive’s gunman from being apprehended. “Og wala pa to makalayo dinhi, basin og gitaguan sa mga nag-gunit niya kay lisod man kaayo pangitaon, di parehas atong isa [Emegdio Aparece, Jr.] nga og mo tago, anha lang sa iyang mga barkada, iyang mga supporter,” said Lauron. Aparece, who was also tagged as a prime suspect in Tirol’s murder, was gunned down during a police operation in Danao on June 6, 10 days after the fatal shooting of the Mayor in Buenavista on May 27. According to Lauron, police remained clueless on the whereabouts of Melencion. There have been no reported sightings of Melencion in Buenavista and Inabanga, his hometown. Lauron did not discount the possibility that Melencion may have already fled the province. He noted however that manhunt operations against the suspect in Bohol continued. Police earlier pinpointed three possible motives behind the killing of Tirol—politics, business and personal conflict. Bohol Provincial Police Office director Sr. Supt. Angeles Geñorga also did not discount the possibility that there was a mastermind behind Tirol’s murder. “Although na identify yung gunman, the work is still not complete kung di makuha ang mastermind,” Geñorga earlier said. Tirol was gunned down in broad daylight inside a cockpit arena in Buenavista on May 27.